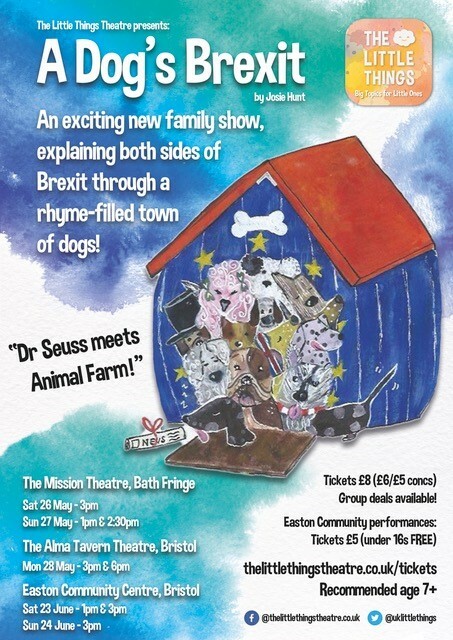 A theatre company is hoping to break down the complexities of Brexit for a younger audience by describing all that has happened in the run-up to and since the referendum by using dogs. A Dog’s Brexit explores what happens in Bowwow Town. It’s initially part of the Bowwow Union but there’s a split on the cards. At the heart of the play, from newly-established The Little Things Theatre, is a message that even though people voted differently in the referendum, all opinions are valid. It’s been created by Josie Hunt, 22, and Imogen Senter, 26, University of Bristol theatre graduates who are co-directors of the new theatre company which specialises in “big topics for little ones”. In their day jobs, they have seen how interested younger people are in Brexit, the Trump presidency and other parts of politics, and wanted to help address the issues in a fun way. 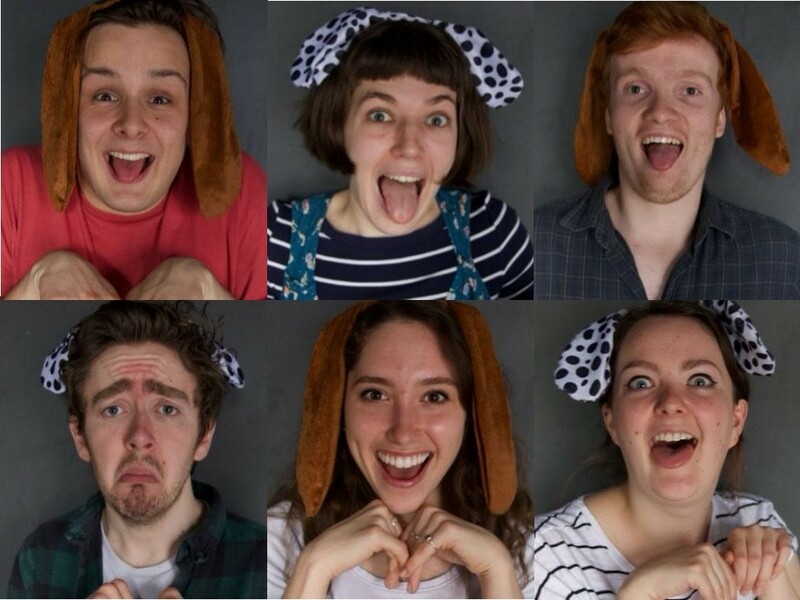 In the 45-minute play the six actors – complete with doggie ears and noses – bound around the stage as 34 different dogs. “The dogs of Bowwow Town are all part of the BU, aka the Bowwow Union. The kennels trade and dogs move from kennel to kennel, but this luxury comes at a price,” said Josie as she explained the story. The enterprising duo behind the show turned to Kickstarter to fund the production, and raised £2,114 against a target of £2,000. Among their inspirations is Grayson Perry’s documentary Divided Britain and a cartoon showing a German shepherd, French poodle and British bulldog around an EU kennel. But mostly they want to help younger people – the play is suitable for children aged seven and up – get a handle on what is going on. “I hate the animosity the referendum caused between people and how some people assumed others’ opinions because of the way they voted,” Josie, who voted remain in June 2016, told Press Association. “A Dog’s Brexit attempts to give a completely non-biased, balanced view of Brexit – weighing up both sides of the argument equally. The final message of the play isn’t about choosing sides, but accepting that people voted differently. “Neither of us proclaim to be political experts, and actually that’s fed into why we’re putting on the play. “Quite often I think politics can be marked as an elite topic that requires knowledge in order to get involved in conversations, which can leave people feeling ignorant or inadequate, isolating them further from political engagement. To date, the company has eight performances booked across three venues in Bath and Bristol. To book tickets and find out more keep up-to-date with the group on Facebook, Instagram, and Twitter or visit their website.